I know most of us must have forgotten about TSTV after series of disappointments. 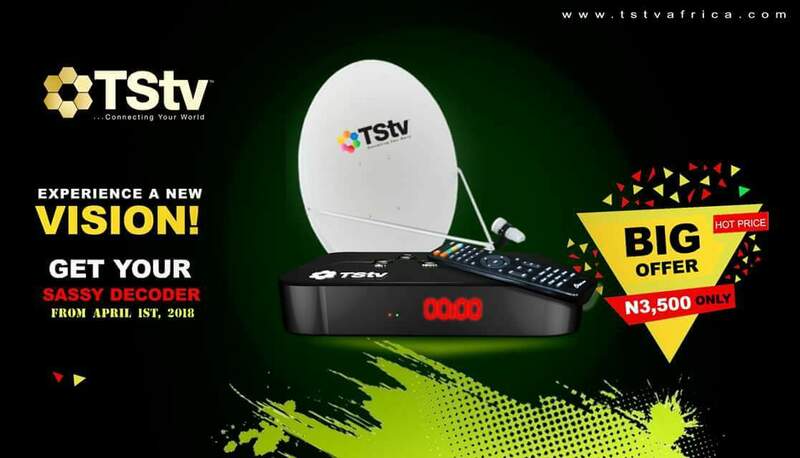 African Telecom Satellite TV (TSTV) took to their social media page to announce a new decoder called Sassy. The new Sassy decoder is very much affordable. At first, they offered the decoder, dish and remote for N5,000. But now, the new Sassy decoder (remote and dish) is going for just N3,500. It's really cheap if you ask me. Though many people has given up on TStv, except you are using a free to air decoder that can view all TSTV channels free of charge. For now, there's no official statement regarding the free 20GB or 10GB data that accompany the decoder when you buy one. According to TSTV, Sassy Decoder will go on sale on the 1st of April 2018. There's no word on states or location where the decoder will be launched. Hmm mm..TSTV really disappointed many Nigerians as they have failed to start anything after a lot of promises.